In today's marketplace, chargebacks play a major factor in your ability to generate profit. That's why fighting chargebacks is so vital to today's retailers—and why choosing the right partner to help is even more crucial. But how can you be sure you are selecting the right chargeback management firm for your business? 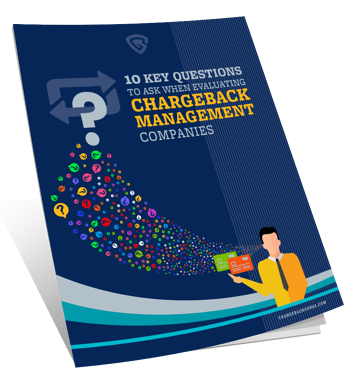 Here are ten key questions you should be asking as you evaluate chargeback management providers. Ready to find the right partner? Download the free guide now!